Marilia January 18, 2019 Comment? Frederik April 02, 2018 Comment? 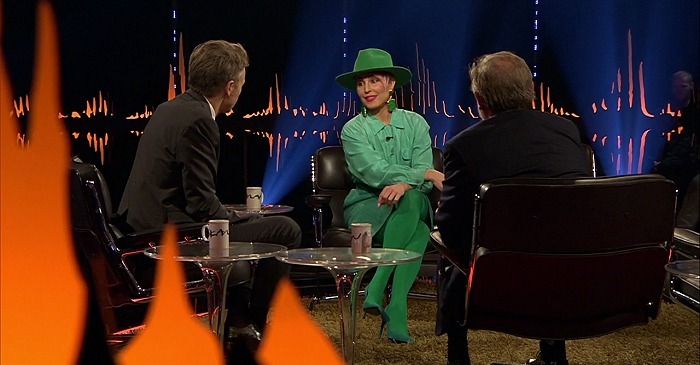 Last week, Noomi Rapace (aka The Girl with the Funny Green Hat :-) was a guest on the Swedish talkshow Skavlan for a chat about her career and the upcoming thriller “Stockholm” (which will have its world-premiere at this month’s Tribeca Film Festival). 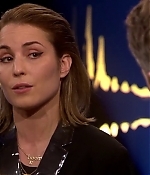 Unfortunately there’s no version of the appearnce to embed to the video archive, so you have to check out the SVT website to watch the whole show. 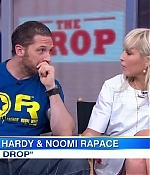 Screencaptures have been added to the photo gallery. Frederik December 14, 2017 Comment? 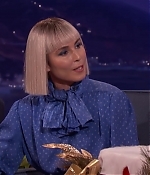 On Wednesday, Noomi channeled her inner Sia for an appearance on “Conan” to promote the December 22 release of “Bright” on Netflix. You can check out her appearance in the video archive with screencaptures being added to the photo gallery. Frederik February 02, 2015 Comment? 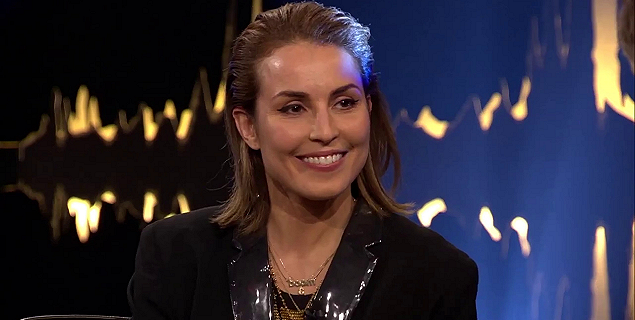 On January 30, Noomi has been a guest on “Skavlan” to promote the Swedish theatrical release of “The Drop”. She’s also talked about the current filming of “Unlocked”. 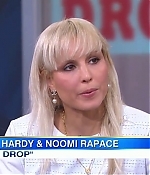 Noomi has been a frequent visitor to the show, appearing previously in 2010 and 2011. 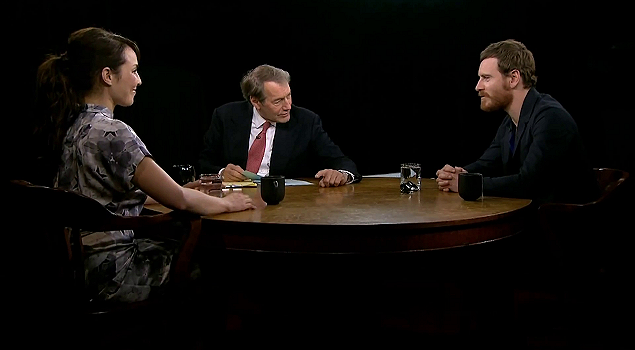 The interview, split in two parts, can be watched in the video archive. Screencaptures have been added to the photo gallery as well. Frederik September 11, 2014 Comment? 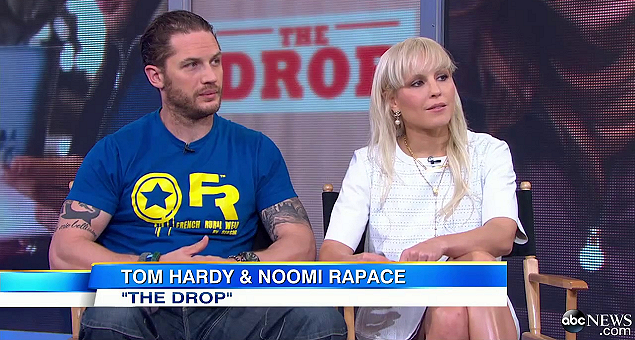 This morning, GMA taped their September 9 taped interview with Tom Hardy and Noomi on their programme. 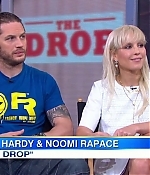 It’s an edited version in which both only briefly talk about “The Drop” and also the ucpoming “Child 44”, which, according to Mr. Hardy, will be awesome. Too bad this interview wasn’t longer. 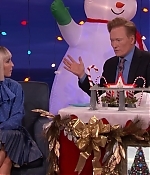 The full segment can be watched in the video archive, screencaptures have been added to the photo gallery.